Microsoft has just released the recovery images for Windows 10 S online. The recovery image (which weighs in approximately at 9GB) can be downloaded and flashed onto a USB flash drive to begin the reset process. The reset to Windows 10 S however, is a clean sweep and all files and customizations made while in the Pro version will be lost. Hence, it is always sane to have a backup handy when attempting a reset. There is no known path to reset to Windows 10 S from Pro without a clean sweep, so until Microsoft comes up with a solution in the future, this is the only method available. 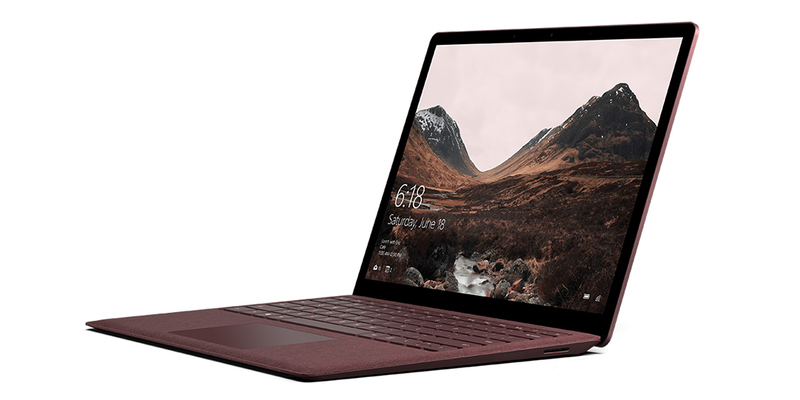 The recovery image for the Surface Laptop can be downloaded from here. The site also has a tutorial to guide you through the process or you can directly contact Microsoft Support if you are cautious about fiddling around. The Surface Laptop with its premium looks and luxurious Alcantara keyboard launched to rave reviews with regards to its portability and performance. With a bevy of available configuration options, Microsoft is trying to put its best foot forward to take on Google's Chromebooks in the education space. The Surface Laptop runs Windows 10 S, a flavor of Windows 10 that only runs apps downloaded from the Windows Store. With big names such as Spotify, iTunes and even full Win32 Office apps hitting the Store, thanks to the Project Centennial Win32 Bridge, users have one reason less to go Pro. Of course, Microsoft recognizes that the Windows Store is still nascent and has allowed a free upgrade to Pro in the first year for buyers of the Surface Laptop. A bummer however, is that users who upgraded to Pro had no option to roll back to Windows 10 S - until now.